It was a productive hockey season for Pittsburgh I.C.E. Forty-five kids participated in the program a year ago, and that number ballooned to 117 in mid-February. A big reason for the rapid growth was the association revamping its goals, changing out its board of directors, bringing in a new executive director and providing transportation for its youth players to and from the rink. “We hit a lull, but we’re back on pace now,” said Carol Murray, who took over as executive director in September. Pittsburgh I.C.E. (Inclusion Creates Equality) — formerly known as Hockey in the Hood — was established in 2000 to provide socially and economically disadvantaged boys and girls in the greater Pittsburgh area the opportunity to learn to play hockey. That mission hasn’t wavered. “I.C.E. is back to where it needs to be,” said Michele Humphreys, the executive director of the Hockey Sticks Together Foundation, the umbrella organization for Pittsburgh I.C.E. Most of the participants in the program are pulled from Imani Christian Academy. However, Pittsburgh I.C.E. is reaching out to after-school programs and other schools to try and attract more kids who want to play the game. The program skates at the Island Sports Center at Robert Morris University in Moon, Pennsylvania. Since the rink is just outside of Pittsburgh, transportation has always been a big obstacle. This year, the association provided two buses for the kids. Along with offering transportation, Pittsburgh I.C.E. has instituted a lunch program for the kids. Pittsburgh I.C.E. is also looking to add an educational component. Teaching the kids life skills lessons would add another valuable aspect to the program. 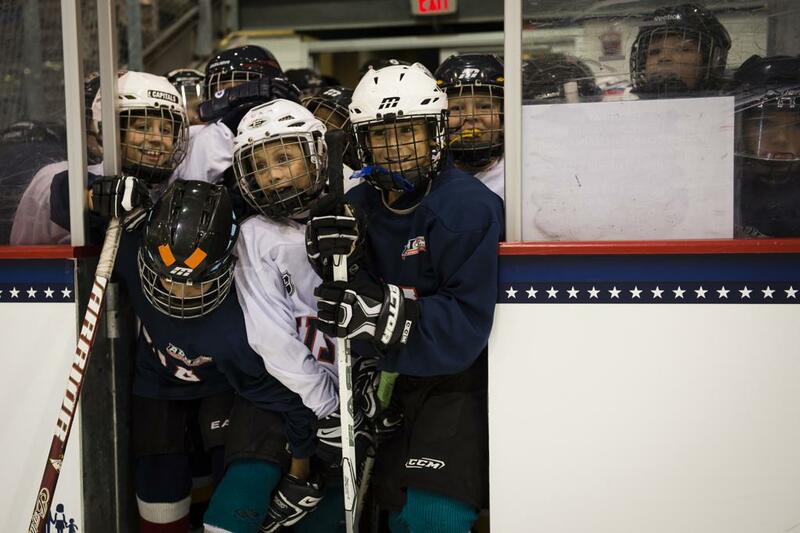 The participants, who range in age from 6-18, have ice time on Saturday mornings from 8:30 to 11:30 a.m. The program, which runs from October to March at the outdoor covered rink, generally has two sessions and segments the players by age and skill level. There are 12 coaches who work with the players along with 10 high school on-ice volunteers. Pittsburgh I.C.E. is strictly a learn-to-skate program, but Murray and the board members want to give the participants a chance to play games. It’s crucial for the young players to learn the basic skills of hockey, but moving to the next step is critical for their development. Pittsburgh I.C.E. is also looking at getting inner-city kids involved in a variation of street hockey called dek hockey. The Pittsburgh Penguins built 12 dek hockey rinks around the Pittsburgh area to get people more active. Dek hockey is a good alternative for kids because they can play during the summer when ice isn’t as readily available. Pittsburgh I.C.E. has lofty goals for the future, which include getting its numbers up to 250 kids by the end of this year. There has been plenty of positive feedback already shared by parents and kids about how the program has gotten better in less than one year. Pittsburgh I.C.E. is just scratching the surface.